One year ago today I started this little blog of mine. Happy 1st Birthday Crafty Cucumber! I am insanely proud of my work here. Blogging has been such an incredible creative outlet for me and I can’t imagine not doing it. I really do love it, a lot more than I thought I would to be perfectly honest with you. My goal when I started Crafty Cucumber was to carve out a little space for myself on the big old internet where I could share my craft projects, tell of my crafting adventures, and discuss my creative process. I love looking at the last years worth of posts and seeing the sheer number of projects that I have completed, the work that I have done, and what I have accomplished. It is truly satisfying to see my creativity displayed in this space. That is the thing about a craft blog – you have a running tally sheet of what you have done, daring you to complain about the list of unfinished tasks. Through this year of blogging, I have rediscovered my love of writing. It had been years since I really wrote anything of substance, and with this blog I have had the wonderful opportunity to do purposeful writing each week. It has been incredibly satisfying to stretch my writing muscles, and as the year has gone by I feel like I have gotten more comfortable in my writing style, more confident in making my own voice heard as I share my projects, and more willing to put things out there for the world to read. I have also loved sharing my work. Because what fun is crafting of any sort if you keep it all to yourself - none at all. Working away at a project, knowing that I will be photographing it and sharing it on the blog is so incredibly motivating and it is so much fun to know that like minded people, fellow crafters like myself, are going to look at it. I love the sharing part of blogging, that is for sure. Of course, hand in hand with sharing, is my love of feedback. I am so happy when readers leave comments on my projects. Oh dear, if you could have seen me the day I got my first comment, you would have thought I had gone right mad. All of the feedback I have received this year has been positive and encouraging and I thank everyone who has ever commented on my posts for your kind words. To continue the sharing, and to thank you all for reading what this crafty girl has to say every week I would like to celebrate the first anniversary of Crafty Cucumber with a giveaway. What is up for grabs you ask? Well after a year of 'Card of the Week' posts I have amassed a giant collection of handmade greeting cards and I would like to offer the following five cards to one lucky reader. 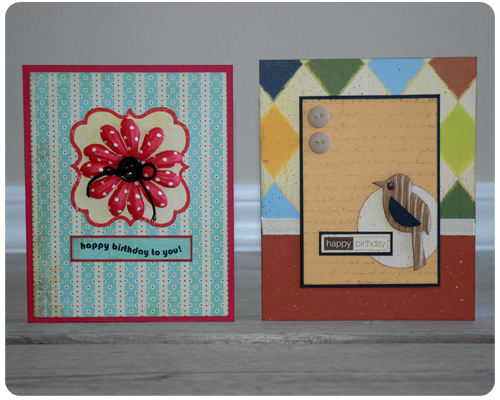 Wouldn't you love to have these handmade cards on hand? Of course you would. There are two ways to enter. Of course, if you do both you will have two chances to win, so why not? 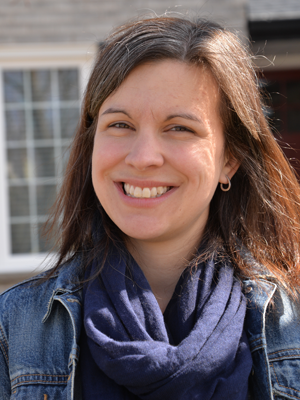 Publicly follow this blog by clicking on the "Join this Site" button on the sidebar. If you are already a follower (thank you), you are already entered. Leave me a comment on this post with your contact information so that I can get in touch with you if you are the winner. The deadline for entries is February 28th at 12:00 pm EST . I will randomly select a winner on March 1st and announce it then. I have truly enjoyed sharing my work, my thoughts, and my life with you over the past year. Thank you so very much for reading. 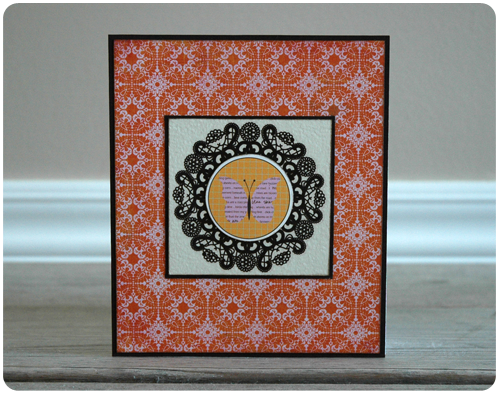 Thank you so much for featuring my card on papermood.com. Awesome job Rachel! Has it really been a year already?? I have loved reading your blogs and seeing your amazing creations. You are inspiring! Thank you very much Vic. You are so talented! I love all of your designs. Congrats on your blogiversary! Thank you very much for your lovely comment and for reading. Congratulations Rachel! I am so very proud of you. All of your projects, no matter what form they take, are always creative, innovative, beautiful and completed with finesse and attention to detail. 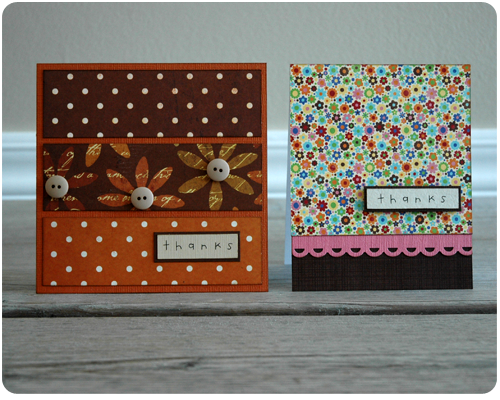 There is never a thread or end left unattached and your cards and scrapbook layouts are amazing. You have the knack for design. Thank you Mom. And thank you for your support and encouragement over the past year. Congratulations!! I am so excited for you! I have loved being with you for every moment of this journey and can't wait for the many years to come! You are an amazing woman!